Stop all the clocks, cut off the telephone, prevent the dog from barking with a juicy bone, etc. 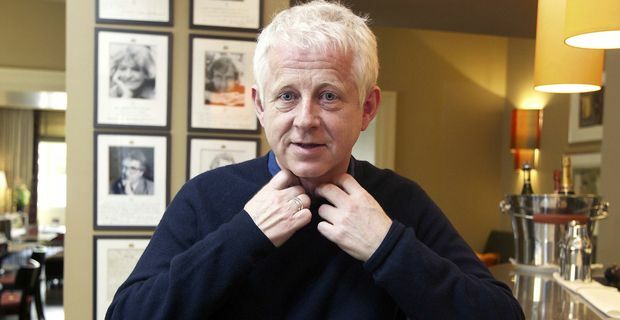 Richard Curtis, the man responsible for the script for the execrably mawkish Four Weddings And A Funeral along with several other films that should be taken under consideration before sentencing, has announced his retirement from directing. He used the opportunity of the premiere of About Time to announce that he no longer wanted to dedicate so much time to film-making. "Three members of my family have died since I last made a movie," Curtis said. "I'm very aware of the mix of good and bad in life and I think I've done a lot of work on the movies and maybe it's time that I try and walk in the park a bit." Curtis first came to prominence as the co-creator of Blackadder, but it soon became apparent that he brought little of the pithy brilliance of the sitcom to his big-screen work. His scripts were the stuff of date-night horror for the average male forced to sit through them. His previous directing work has included the sloppy Love Actually and the hit-or-miss (but mostly miss) pirate radio comedy The Boat That Rocked. For film fans cheered by the prospect that they will not have to suffer another Four Weddings or Notting Hill, there is mixed news: Curtis hasn't given up on screenwriting. About Time is an atypical Curtis work in that it features what Hollywood calls a "high concept" idea, in this case time travel. Bill Nighy, contractually obliged to appear in every Curtis film, tells son Tim (played by Domhnall Gleeson) that he can travel through time. This being a Curtis film, rather than use the power for anything useful, dim Tim sets off in search of a girlfriend. We're back to stopping all the clocks again, aren't we?